Lately, I’ve been obsessing over River Island’s new spring and summer must haves. They have so many trendy pieces that you guys need to go and check them out. To me, summer is all about colorful pieces, which I am making sure to add to my closet. 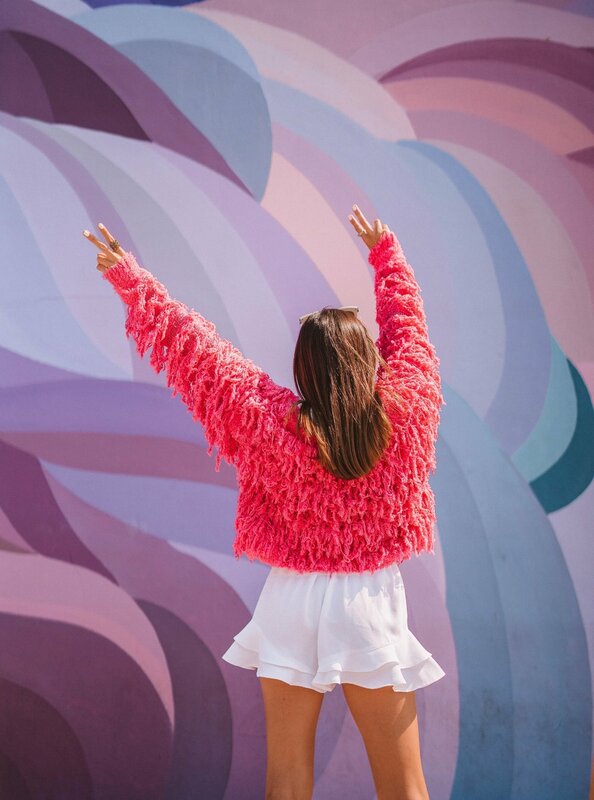 When I saw this pink jacket, I knew I had to get it!!! I decided to pair it with some cute fresh ruffle white shorts, added a tee and white heels to complete the look. I loved how fun this outfit turned out and the best part is you can style these pieces in so many different ways. Remember to keep it easy and fresh this summer. Don't forget to check out River Island new trendy pieces on their site.